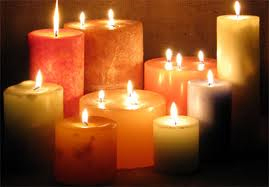 Using candles as therapy has been around for thousands of years, and has been practiced by nearly every religion. Candle therapy can be used to unite the powers of mind, body, and spirit. From ancient times to the present, Candles have lit our way through every transition! From celebrations and ceremonies to proclamations and processions! The candle's flame has always been a metaphor for the soul! It possesses a tranquil and almost hypnotic atmosphere to those who allow its power to take them to a very special place. A candle acts as a "self object". A self object is an object that is a reflection of our self, a reflection upon which we can act. The candle reflects the spiritual and ethical changes we would like to bring about in ourselves. It burns as a reminder and symbol of our desires. Sometimes we have to hand our dreams over to a force more powerful than we are.